Bluetooth smart light bulbs rgbw 7w, wireless controlled rgbw light bulbs. 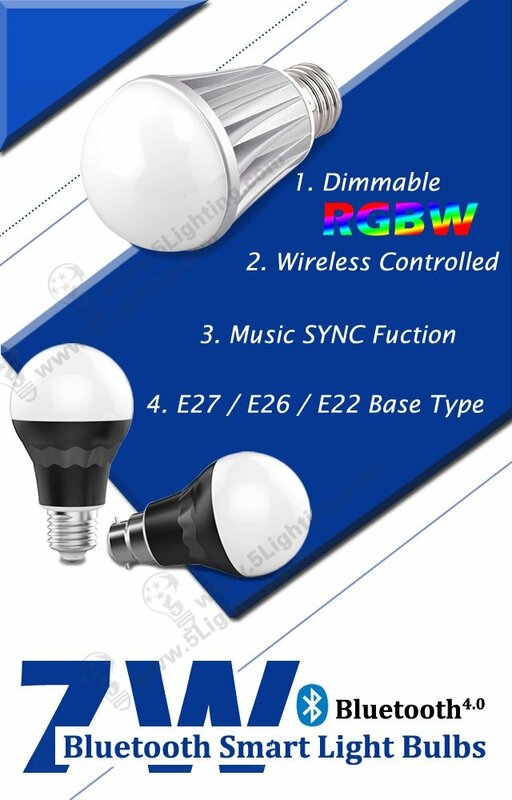 c): That bluetooth smart RGBW light bulbs with several kinds of lighting changing modes for options, through adjusting changing speed or lighting color number , such as: disco mode which is perfect for disco, bar, KTV or party decoration lighting etc. d): This RGBW bluetooth smart light bulbs with various of changeable colors, people can personalize your lighting with a color palette of over 16 million colors, plus different tones of white light, also can change lighting color according to lighting requirements or real condition.